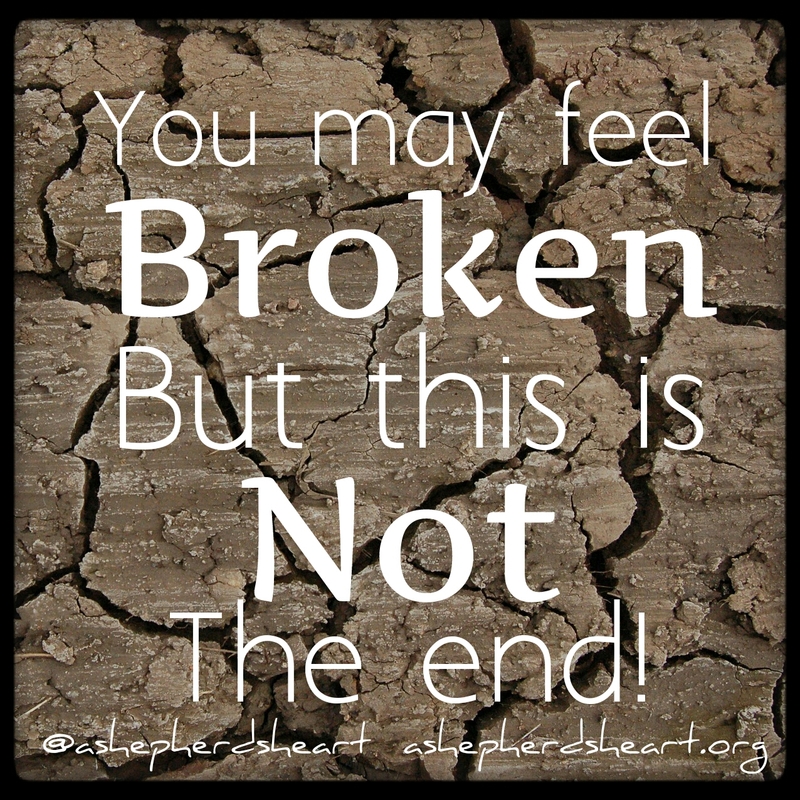 A Shepherd's Heart: This Is Not The End! To say that life is hard sometimes is truly an understatement and I think you'd agree!? Relationship issues including break ups with friendship or someone you're dating. Or, if you're married or been married, somehting worse...divorce. -Issues of self-doubt, self-worth and self-esteem. -Health issues. Job losses and much more! Life is hard and honestly...we forget that we were never promised that life will be easy or trouble free. (See John 16:33) If you've bought into the idea of a trouble free life then you're obviously in for a rude awakening anytime something goes wrong. Through the times of brokenness, trials and tribulations, you can be guaranteed that God will show up...in fact, He is already there! He'll also use these times to grow and stretch you in ways you've never imagined! This is why you've heard me say before that I refer to these times as the "Here we GROW again times" instead of the here we Go again times because how you face each circumstance matters. Your perspective has a direct correlations to how you respond to any given circumstance. If you're reading this and feeling hopeless or broken or feeling like life as you know it is over because of the circumstances you're facing, please know that as real as you're feelings and emotions are...your life is NOT over...this is NOT the end! This is just a season you're going through friend. This is just one moment in time and it will pass even though you may not feel like it right now. Jesus won victory over sin and death for you (See 1 Corinthians 15:55-57) and it's no doubt with His help, strength and the guidance through His Holy Spirit, that He can and will help you overcome anything you're currently facing! Please don't give up on Him as He'll never give up on you! Please don't give up on yourself or life as you will overcome what you're going through! Please reach out and cry out to Him because He loves you and is for you! Reach out to someone He's placed in your life whom you can trust and share with them what you're facing no matter if you'll think they'll understand or not. This is not the end my friend...this is not the end! Share this encouragement with someone today: You may feel broken but this is NOT the end!